Here at MasterRents, we have a large selection of excavators for any of your grading or earth moving projects. We carry everything from a CAT 300.9 to a CAT 330 and everything in between. Some of our most popular sizes are the mini excavators which include the 302.5, 303.5, 304 and 305’s. We also carry excavator attachments including hydraulic hammers to all sizes to help you chip away at your project. If you’re looking for an excavator rental in Massachusetts, you’ve come to the right place. The most common type of excavators is a hydraulic excavator. 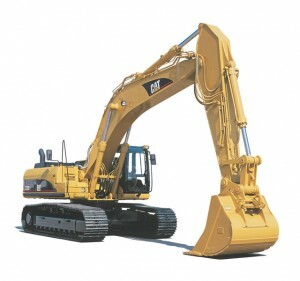 A hydraulic excavator uses hydraulic fluid, with hydraulic cylinders and hydraulic motors to accomplish movement. Due to the linear actuation of hydraulic cylinders, their mode of operation is fundamentally different from cable-operated excavators. Hydraulic machines are much faster and more efficient. Excavators are used in many ways: Digging of trenches, holes, foundations, material handling, demolition, and general grading. They are also used in the lifting and placing of drain pipes, manholes, and water mains for utility construction. MasterRents has a full time salesman as well as a knowledgeable staff to help you with any questions you may have about excavator rentals or any of our other pieces of rental equipment. MasterRents offers short term rentals at reasonable prices; please contact us at 978-762-RENT (7368) for more information. We look forward to serving all of your rental needs.